Picture this: college students engaged in intense coding sessions, crafting nifty cyber-inventions and forgoing even the thought of sleep. It might appear at first to be just a trope of techie blockbuster films, but it is indeed the setting of “hackathons,” multi-day events in which computer programmers develop new software at breakneck speeds. SB Hacks III will be the third annual coding competition at the University of California, Santa Barbara, taking place between Jan. 20-22. Set to last 36 hours, the event will challenge hundreds of students, many from other college campuses, to code new software on the spot. Winners take home prizes in the form of cash, gift cards, and new gadgets. Students attend to expand their coding abilities, as well as perform for the event’s sponsor companies, which this year include IBM and Google. Past years’ competitions have seen winning innovations in the form of event-planning mobile applications, environmental sensors, and laboratory simulations via virtual reality. Other coding achievements have taken off in the UCSB community. RateMyGold, a Google Chrome extension that allows users to view their professors’ quality ratings on the GOLD student portal, received wide praise from students after the inaugural SB Hacks in 2015. 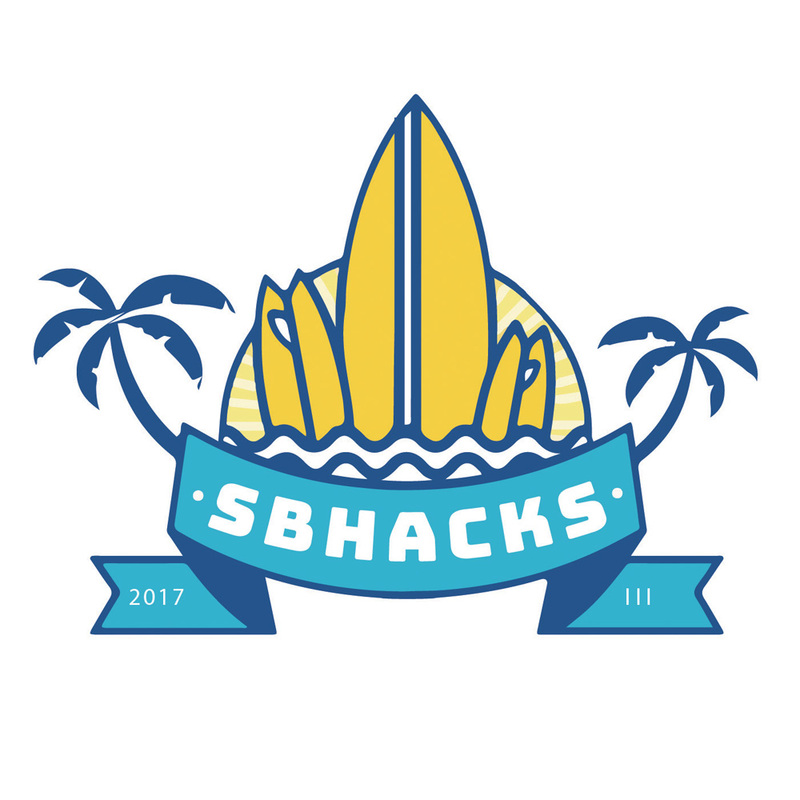 While the actual competition gets intense, SB Hacks offers students walks to the beach and afternoon yoga sessions to offset the severity of the event. Counseling and Psychological Services has also been present at competitions to help students deal with the stress of the environment. The event is entirely free to attend and participate. Students are provided with free meals during the weekend, and some students from the greater Los Angeles and San Francisco Bay Areas are bused in. This year’s event will kick off on Friday evening, complete with a free dinner and opening ceremony. The official hacking will begin at 9:00 p.m., and proceed until Sunday at 9:00 a.m. Winners are generally announced in the weeks following the competition’s end. SB Hacks events have featured a number of guest speakers who offer “tech talks” to the students. Bernd Oliver Christiansen, the Chief Technology Officer of software company Citrix Online, spoke at the first hackathon in 2015. Recently-elected Isla Vista politician Jay Freeman also spoke at the original event, and served as a judge at the second annual hackathon in 2016. Freeman, also known by the internet name “saurik,” is the creator of iOS mobile app Cydia, which allowed users to install software packages on jailbroken iPhones. Landing sponsors to attend SB Hacks III was a more difficult task than in previous years, according to SB Hacks organizers Anna Ho and Connor Mulcahey. In a joint written statement to The Bottom Line, they said there was greater competition to attract sponsors due to other UC hackathons. Hack UCSC, the University of California, Santa Cruz-equivalent, will take place on the same weekend. As hackathons have grown in popularity, the number of United States competitions has skyrocketed. Major League Hacking, the official collegiate league, lists 136 North American events for the league’s 2017 season on its website. “Just looking around the departments within our university,” they said in the statement, “there is much that is still done with paper, spreadsheets, and email.” Ho is a third-year communication major and Mulcahey is a fourth-year computer science major. At SB Hacks II earlier in 2016, Secretary, an SMS-based system devised by various UC students, received a grand prize of $1,000 in gift cards and merchandise. The software could operate any internet-based device if a user sent the correct commands in text-message form. The innovations range from lofty, breathtaking feats to simply useful creations. One invention at last year’s event was Security, an apartment security system built on sensors that implement thermal imaging technology. A more straightforward achievement at last year’s event was SpoilFoil, a Google Chrome extension that blurs text containing potential spoilers, based on user-inputted keywords. The first two events at UCSB have proven successful. Over 500 students turned out for the 2015 SB Hacks competition. Last year’s event organizers notably imposed a limit of 500 participants, in order to ensure a quality event. Hackathons at other UC campuses have seen equal excitement over the years. Cal Hacks, the University of California, Berkeley-equivalent competition, has drawn over 1,000 students at past events, according to Berkeley campus newspaper The Daily Californian. At CalHacks 3.0, the third annual UC Berkeley-equivalent competition in November, a team of students created mind-control technology that can operate Tesla cars. Ho and Mulcahey are optimistic for the upcoming event. “The amount that one can accomplish in a weekend continues to increase with each passing year,” they said.